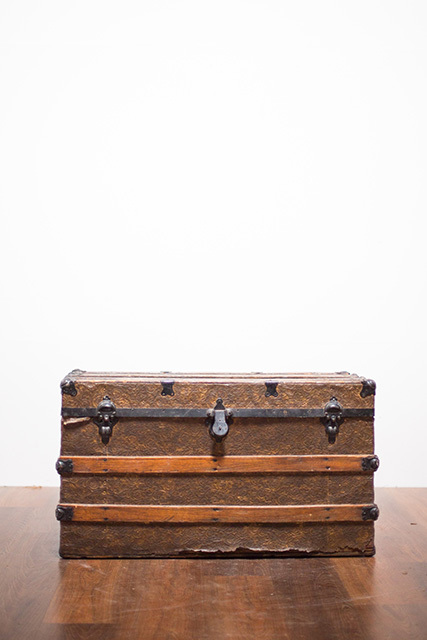 This vintage trunk coffee table is a fun design to contribute decorative charm to any space. The slightly rounded corners and flat top allow for the versatility of use as a center table or even a rustic decor prop. Dimensions: 18″ H x 20″ W.